Michelle is a senior lecturer in law in the School of Law and Social Justice. Michelle joined the University of Liverpool in September 2012. She was awarded her PhD from the National University of Ireland, Galway in 2011. Michelle also holds an LLM in International Human Rights Law from the same institution and a BA in European Studies from Trinity College Dublin. Michelle researches in the areas of public international law and international human rights law. Her research is specifically concerned with state power and state violence and she has examined in depth, and written extensively about, histories and practices of torture and the prohibition of torture and other forms of ill-treatment. She is also interested in conflict, counter-terrorism and states of emergency from historical, theoretical and human rights perspectives. Michelle's first monograph, The Prohibition on Torture in Exceptional Circumstances, was published with Cambridge University Press in 2013. Her monograph deconstructs the debates on the justifiability of the use of torture in exceptional circumstances. Another strand of Michelle's research is on the debates and discourses around human rights, their value and their usages. In this respect. her co-edited collection, Human Rights in the Media: Fear and Fetish, a timely examination of the representation of human rights in the media in the context of the Human Rights Act repeal debates, will be published with Routledge in 2018. In Autumn 2016, Michelle was an expert on the EU-Vietnam Strategic Dialogue on the United Nations Convention Against Torture implementation process. From January-June 2016, she held the O' Brien Fellowship in Residence in the Centre for Human Rights and Legal Pluralism at McGill University. In April 2015 she was a Visiting Scholar at the University of Iowa Center for Human Rights State-Wide Outreach Initiative. 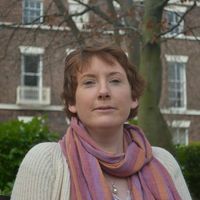 Before joining the School of Law and Social Justice, Michelle held the National University of Ireland EJ Phelan Postgraduate Fellowship in International Law and was based at the Irish Centre for Human Rights, National University of Ireland, Galway. Michelle has also previously held a position at the European Inter-University Centre for Human Rights and Democratisation. In the past, Michelle has also worked for Amnesty International, Irish Section and Physicians for Human Rights, Israel. Michelle welcomes proposals from doctoral candidates who are interested in researching in international law and international human rights law. She would welcome, particularly, proposals on the practice and/or prohibition of torture and other forms of ill-treatment, counter-terrorism in the UK or internationally, the UK and human rights or studies of human rights from critical, ethical or political theoretical perspectives.